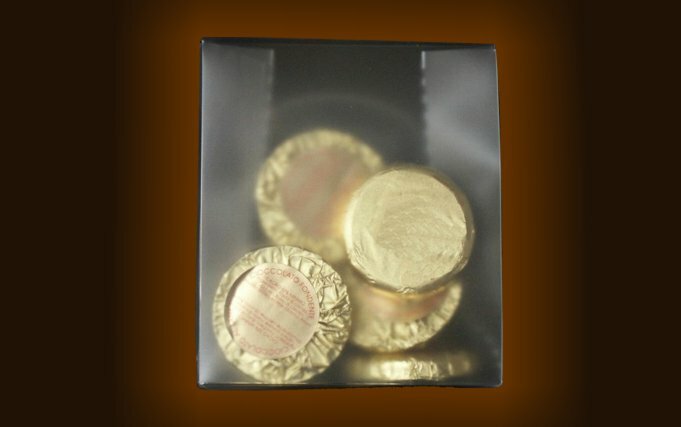 Small bag-like box in glazed acetate containing 6 chocolate coins. Security seal on closing flap. Label showing technical details as required by current regulations is on the bottom side. Ingredients : The box can contain either one of the two tastes of chocolate coins available. For ingredients see the details of the bulk product. Dimensions and weight : Length 70 mm. Width 40 mm. Height 80 mm. Weight : 30 gr. Colors available package : Trasparent glazed. 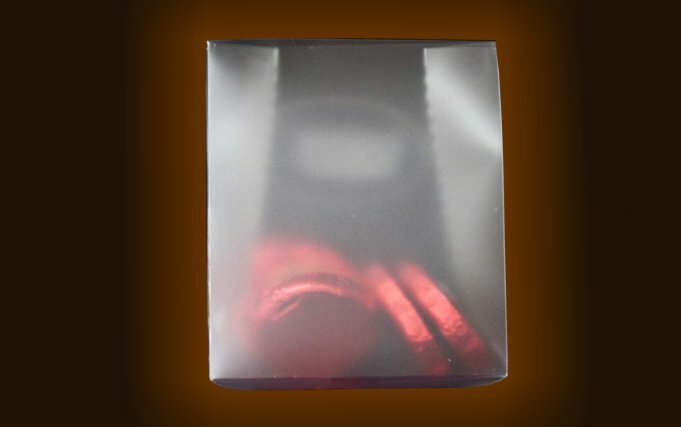 Colors wrapping available : Gold, red e brown. Other colors of wrapping on request. Minimum order quantity: 100 pieces.